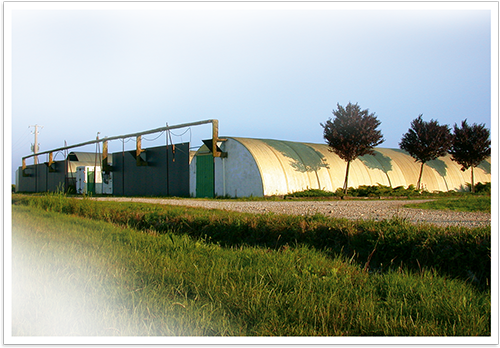 Founded in 1974, Funghi Mara is one of the historic companies of Italian mushrooming. First in the world in bringing mushroom culture in the "do-it-yourself" and hobby sectors, it has distinguished itself since the 1970s for innovation, passion, research and development. A very short supply chain characterizes the entire production process. 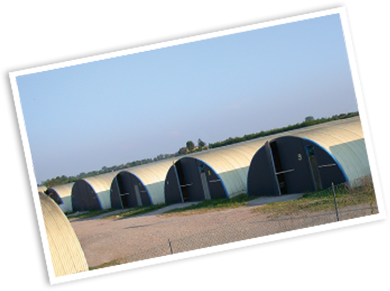 Monitored at each stage, the process begins within the research center with the production of mushroom seed (mycelium), to proceed with the preparation of the sterile growing substrate and its inoculation without the addition of chemical fertilizers. 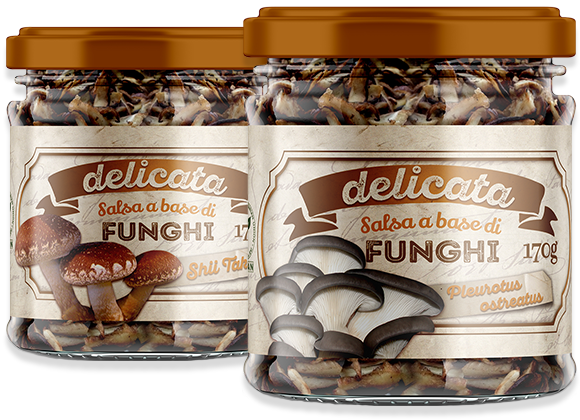 Mushrooms are collected and processed during the day in the canning department always inside the company, where the excellent traditional recipes meet the support of the best technologies of the canning industry. 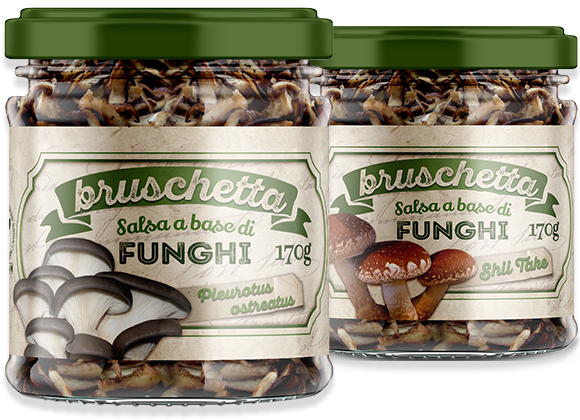 Funghi Mara products are without gluten and also suitable for vegetarians and vegans, thanks to a specific line provided with European certification that guarantees the non-use of products of animal origin. It is the most appreciated plain mushroom for flavor and culinary versatility, undisputed protagonist of innumerable recipes typical of Italian regional traditions. Cultivated by Funghi Mara naturally, is harvested at optimum ripeness and cooked in the day so that it does not lose freshness and fragrance. It is widely used in Asian medicine; considered one of the main protagonists of the circle of mushrooms called "medicinal", has always been the subject of study and interest. It is instead for its unmistakable taste, the fleshy body and the strong taste that Funghi Mara has been proposing for a long time in their own recipes, thus combining the tradition of the Far East with the unparalleled Italian quality. The wide and full-bodied hats are carefully cut into irregular pieces, enriching the oil with their typical olfactory and gustatory characteristics which in these sauces are straightforward, thanks to the choice of a modest aromatization. Excellent to accompany boiled meat, meats white, fish and sweet or non-matured cheeses are sauces that go well with a still white wine or a rosé wine. After carefully cutting the hats into irregular pieces, spices are added, among which garlic and chilli stand out for their intensity, which complete the aromatization enhanced by the oil. 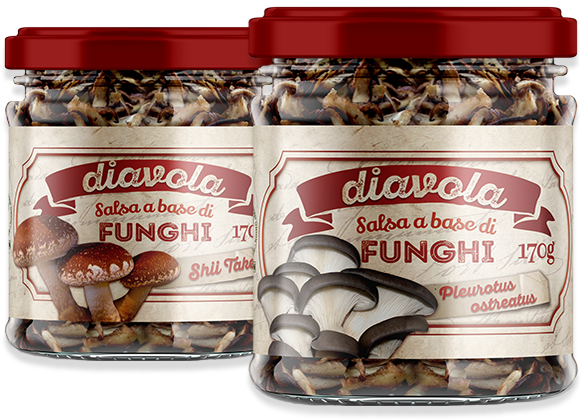 Moderately spicy, they are the mushroom sauces ideal for aperitifs, tigelle, crescentine, bruschetta, other pickles and grilled meat or fish. They love both the not too aged red wine, and a decidedly dry and firm white wine. To the hats cut into irregular pieces are added different spices, among which the chilli pepper is particularly important, as well as justifying its name, it gives rise to a full and harmonious flavor extremely appreciated by this spice lovers. Very spicy medium-aged goat's cheeses, salami and game. They go well with full-bodied red wines, but also, especially with aperitifs, a good Prosecco or a refreshing Pignoletto. Originally from Asia and known to belong to the circle of medicinal mushrooms, the Shii-Take gives the dishes an unmistakable flavor that gives fullness to the most varied dishes. Thanks to the Funghi Mara flavor enhancer you can always have at your fingertips it dispenses all the aroma of this tasty mushroom. 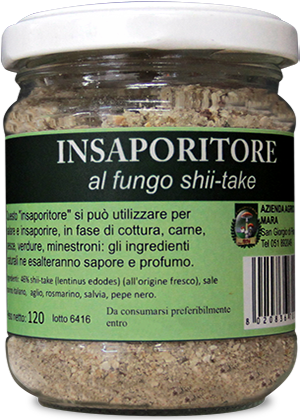 Made up of about half of Shii-Take powder and completed with Italian sea salt and other carefully selected spices, the Shii-Take mushroom flavoring is the perfect ingredient to enrich meats, vegetables and soups. Excellent also added to baked potatoes and dishes based on legumes. As always happens, the dishes of poorer origins, born from the traditional peasant tradition, are able to give the best flavors. It is so for the Friggione Bolognese, a preparation based on tomato and onion long-fried slow fire, two of the most common ingredients here combined with perfection. 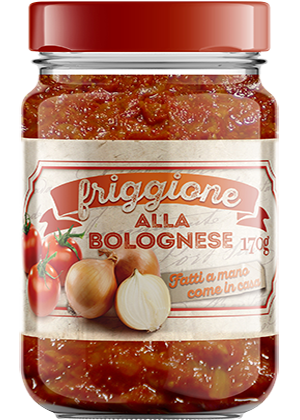 A product as tasty as it is versatile: the Friggione is excellent both as a sauce for pasta, to accompany polenta, rice, or a good slice of bread. A culinary delight of Bolognese cuisine that Funghi Mara prepares with care and loyalty to the traditional recipe.